Takes three-point shot at every opportunity, for stellar 37 percent career average . 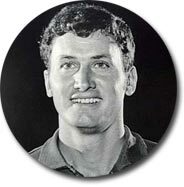 . . Farm boy "who comes to camp ready to play," says former Colonels coach Gene Rhodes . . . 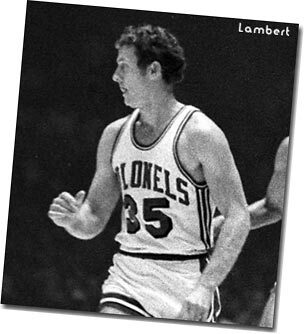 He and Dampier have been together for four years are are the only twosome still together as starters since ABA began. . . In early years of the ABA the two formed the most productive backcourt in the ABA . . . 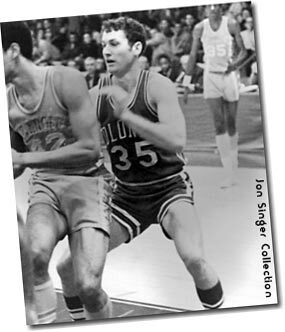 Worked on defense during 1971-72 season and became better all-around player . . . Blessed with quickness . . . Had been saddled with a "good shot not much else including defense" reputation . 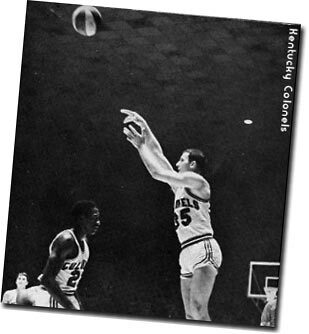 . . Carrier averaged 16 points per game during 1971-72, seven less than career average, but he and Dampier weren't the only guns on last year's Kentucky team . . . Real change from first three seasons . . . Still scored 37 points in second game of season vs. Denver . . . Another night against Rockets he hit seven of eight field goals in first half and actually BACKED UP in range for three-point try and made it . . . 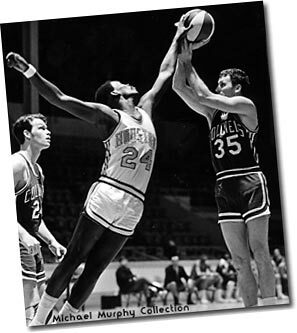 In fact, he made four of four three-point tries that night, and nine in row over three games to tie ABA record . . . owns farm ("about 100 head of cattle and five acres of tobacco") near old hometown of Bristow, Kentucky, which is managed by twin brother Harel when he's not teaching school . . . Thinking of trying for auctioneer's license.